Captain Alastair Cook (22) and Kevin Pietersen (6) were the two unbeaten batsmen at close with England still needing 281 runs to avoid the follow-on. 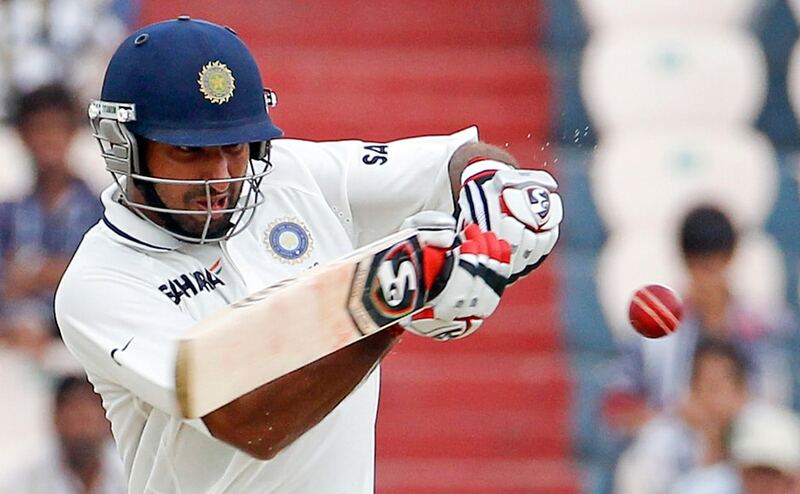 India ended day one strongly on 323-4 with Pujara (98) and Yuvraj (24) at the crease. 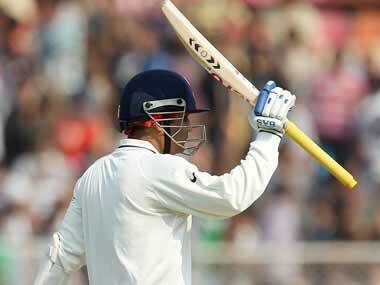 Here are live updates of day two of the first Test between India and England. 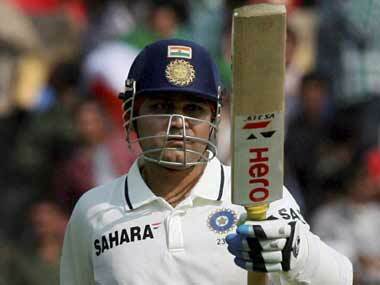 Some might call it arrogance and perhaps it is but it is something that Sehwag has earned over the years; it is something that all greats wear with great pride and the right-hander is no different. Sehwag notched up his 23rd Test century with a run-a-ball 117, while Pujara was just two runs short of his ton as India cruised to 323-4 at close on the opening day. Rest of India skipper Cheteshwar Pujara and his Rajasthan counterpart Hrishikesh Kanitkar have similar strategy for the Irani Cup tie —unleash their respective pace batteries on the opposition in the match tomorrow. 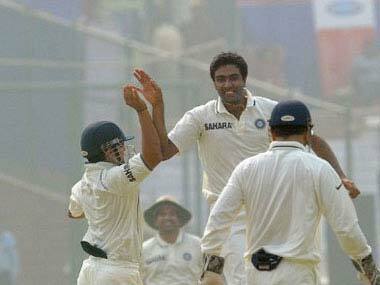 Ravichandran Ashwin produced a career-best 12-wicket match haul as a merciless India relied on the spinners to crush New Zealand by an innings and 115 runs to take a 1-0 lead in the two-match Test series here on Sunday. Without the expectation of the unpredictable, sporting contests make little sense. Placid pitches are killing the audience expectation. In Australia, the biggest curse was being called the next Bradman. 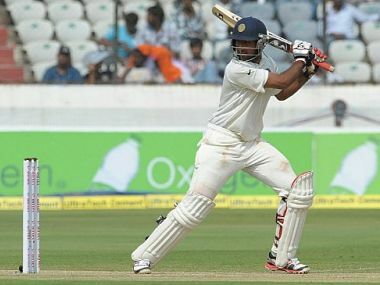 But Pujara has to go beyond comparisons. 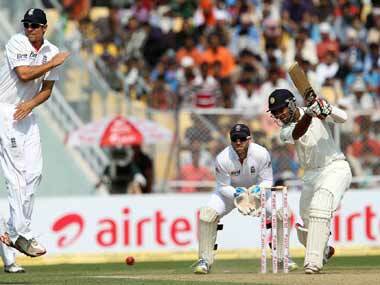 Action from day two of the first Test match between India and New Zealand. 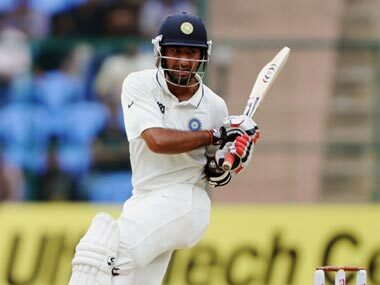 Pujara was dismissed in the post-lunch session after his brilliant innings of 159 (306 balls, 19x4, 1x6). 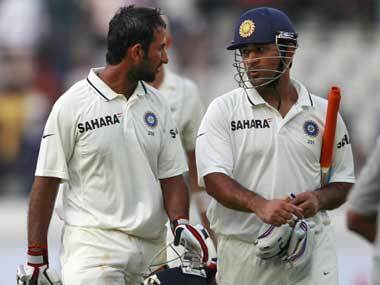 Dhoni gave him fine support at the other end with a 73 (147 balls, 6x4, 1x6), the skipper's 25th half-century in 68 Tests.